Exactly 2 minutes after Verizon sent out the press release for the HTC Thunderbolt, Best Buy posted up their confirmation of the date. After possibly jumping the gun back on February 6th and allowing pre-orders, they are ready to accept the rest of your money; starting March 17. The price will be $249 initially, but after March 19, will go up to $299 on 2-year contract. So if you pre-ordered, you might want to get into a store before the weekend hits. MINNEAPOLIS, March 15, 2011 – Best Buy (NYSE: BBY) today confirmed that the HTC ThunderBolt 4G will be available to the public beginning March 17 in all Best Buy, Best Buy Mobile standalone stores and online at www.bestbuy.com/mobile. The HTC ThunderBolt 4G, a national retail exclusive for Best Buy, will be offered at a special launch price of $249.99 through Saturday, March 19, including all pre-orders. Beginning March 20, the price will be $299.99. Upgrade Checker: A quick and easy service that gives customers the ability to see when they are eligible for their next phone upgrade. When the upgrade time is nearing, customers receive a complimentary reminder call, e-mail or text message. Walk Out Working™: Free in-store smart phone setup by a Best Buy Mobile Phone Specialist who will sync personal email accounts, set up Bluetooth headsets, transfer contacts and activate other services to allow the customer to leave the store with a fully functional new smart phone. Buy Back: Consumers can take advantage of the new Buy Back Program, which provides convenient access to upgrades with the help of a Best Buy gift card from “buying back” past purchases. 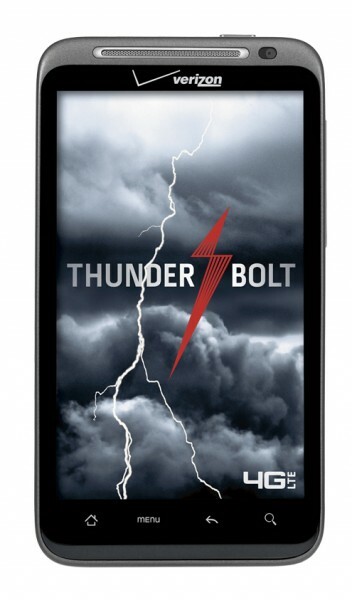 Click here for more information on how customers can utilize the Buy Back Program when purchasing a smart phone like the HTC ThunderBolt. For more information or to find a Best Buy or Best Buy Mobile standalone store in your area, visit www.bestbuy.com/mobile or www.BestBuyMobile.com.